I’m an introvert. I’m a teacher. I’m an introverted teacher. As much as I love writing about and discussing introversion, I know being an introvert doesn’t define me — even if it feels that way sometimes. Just like being a teacher is part of who I am, it’s not what makes me who I am. However, after working as an ESL teacher for nearly a decade, I’ve noticed ways in which my introverted personality can function as an advantage in the classroom. I’ve learned how it can help strengthen my connections with my students and give me insight into the special needs of the quieter ones. I believe both introverted and extroverted teachers bring a wealth of strengths to the table, and every school should have a healthy balance of both on the roster. The most important thing, of course, is genuine care for the students. In my experience, there are four powerful strengths of the introverted teacher. 1. We instinctively understand what it means when students are quiet. Take a walk into any classroom and you’ll see a mix of personalities. Some vying desperately for the attention of the teacher or their peers, and others quietly observing the scene, taking in details to piece together meaning in their environment. Though I’ve worked with students of all ages, recently I’ve focused on early childhood education — an age group I find to be incredibly rewarding to teach. As an English teacher in Thailand, I had the chance to work with the same group of young students for two years. During this time, I witnessed an amazing amount of growth. I watched as the children morphed from toddlers into little people — each developing their own distinctive personalities. Preschool classrooms are hectic environments, and it’s sometimes hard for teachers to give each child the nurturing one-on-one attention they deserve amidst the chaos. 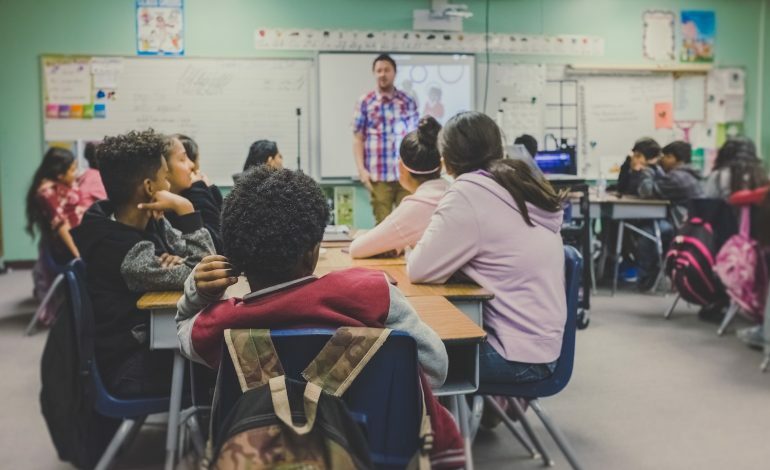 It’s not a pleasant revelation to have as an educator, but particularly at this young age when there are a lot of moving pieces in the classroom, quieter students may get less interaction with the teacher than their louder active peers. It’s imperative to make each child feel seen and heard in their learning environment. Since some students are not as demanding of attention, it takes awareness and effort on the teacher’s part to seek out time with those who might otherwise fade into the background. As introverts, we know appearing quiet does not indicate a lack of interest in the outside world. In fact, it often indicates the complete opposite — a concentrated effort to observe and make sense of what we’re seeing. To show the quieter students they were valuable members of the class, I tried to engage them one-on-one each day. They weren’t the ones shouting out answers during lessons or excitedly tracking me down to share their ideas and stories, but they were learning just as quickly as their vocal classmates. Taking time to approach them away from the group gave them space to express themselves more comfortably. 2. Our observation skills help us tune into students’ needs. All good educators know how important it is to address different learning styles. Just like some children are more talkative — and some quieter — students also process information differently and at different speeds. Because introverts know what it’s like to go against the extroverted grain, we’re often acutely aware of differences in behavior and personality. We like to observe the big picture just as much as the individual pieces. For an introverted teacher, this means getting a grasp not only on the grander social dynamics of the class, but also attempting to understand the specific ways each student interacts within the classroom. After a group activity, students have different ways of absorbing and retaining the presented information. Some learn best through self-discovery and need freedom to manipulate materials or work on exercises independently. Others like to process by sharing their thoughts with the teacher or their peers. Introverts are natural observers who tend to spend a lot of time thinking about how others tick. We seek to understand what motivates others, because we wholeheartedly enjoy contemplating what’s behind their actions. For me, this skill comes in handy as a teacher and helps me tailor my lessons effectively to each student. Introverts and extroverts often tackle leadership roles differently, including in the classroom. While extroverts might lead students towards a shared goal using a more direct and active style, introverts typically guide pupils in a more holistic way, allowing them some control over shaping the learning process. In my case, while I made sure to set clear expectations for the children, I also frequently asked for their input, allowing them to make choices concerning our life in the classroom. We worked together to create an environment that was most conducive to their specific needs and personalities. I wanted to lead in a way that made the students feel empowered. I didn’t want them just to follow my directions. I wanted them to develop their own critical thinking and leadership skills. As an introvert, serving as a facilitator is something that comes naturally to me. It’s a team management strategy that involves taking a role more along the sidelines, with the goal of allowing team members to flourish. 4. We’re naturally good listeners. Most introverts are good listeners. It’s how we take in information about our environment and the people we encounter in it. We typically enjoy asking meaningful questions more than talking about ourselves, at least until we’re around someone we feel comfortable opening up to. Usually we’re not being inquisitive just to be polite; we’re genuinely interested in learning more. Even though my preschool students were young, I loved having conversations with them and really listening. Children have a strong desire to share what’s going on in their developing minds. When treated not simply as little kids, but more like little adults, they have a way of expressing themselves that’s both fascinating and endearing. Because a big part of my job as an English teacher was to help my students communicate in a second language, I was conscious of guiding them to speak with me as much as possible. I also wanted them to feel worthy of being listened to, because a child’s ideas can be just as valid as an adult’s. Throughout my teaching career, I’ve observed introverts and extroverts at work and know both can be great educators. It’s beneficial for students to learn in a variety of ways, and it’s fun to see how a teacher’s personality affects their teaching — I know mine sure does.